Jeremy Batlle aka. DJ Monster Mush was born in the year 1984 in Belgium. At the age of 15 he starts to play electronic music. At the beginning he only played for friends in small pubs & parties and so he began to work on his destiny. 2002/2003 the Jung DJ organized his first own event series – “HARDTECHPARTY”, which became a very famous status in his region. At the same time he get the chance to play on events like „Technight“ and „Technosmozz“. 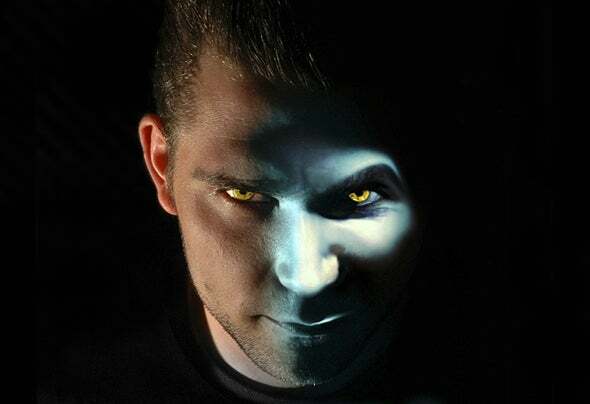 2004 DJ Monster Mush was resident in one of the best clubs in Belgium for electronic music – “N-Joy Club”, where he played next to artists like DJ Rush, Marco Remus, Pet Duo, Arkus P, Dj Lukas, Torsten Kanzler, Darren Price, aso. 2005/2006 Jeremy got his next chance – the „Jet-Set Club“take him for further endless Saturday nights as resident in his poll. At this club he also performed with international artists like Boris S, Felix Kröcher, Misa Salacova, Greg Notill , Sven Wittekind, aso. 2007/2008 was the year to complete the artist Monster Mush. He began to produce his own sound. Thereby people from Germany, France and Spain take notice from his person. With support from DJ Greg Notill (friend and one of the best producer from France) he worked on international cooperation. At next he goes for a while to Spain to work with DJ Lukas in the studio – at the meantime they recorded on the labels “Cannibal Society Record” and “Reconstruction Record” from Holland. 2009 Monster Mush realized his own music promotion agency called „BoostProtek“. This agency contents Promotion- and Marketing conception for promoter, labels and artists but not only from the genre electronic music, also for all other styles of music! Today Monster Mush is an accepted producer and DJ in Europe. At the time he produce on several famous labels like “Cannibal Society Record”, “Techno Pride Record”, “Reconstruction Record”, “Domestic Violence Record” and “Devel-Loop Record”. At latter Jeremy released his best track “Nirvana bootleg – Smells like teen spirit”! In the meantime the Belgian DJ performed also in foreign countries like Spain (Blau Club and Zoreks Club), Austria (Club Tunnel) and Germany (Spot Club); Furthermore Monster Mush played as resident on few big events from Liberty White (Booking & Promoter/Belgium), Cityparade, aso.